You’ve got so much to do in your therapy business. You want to revamp your website, meet more colleagues, update your intake forms…It takes a lot to run your private practice. How you stay motivated and effective depends on who you are and how you’re wired. Gretchen Rubin, author of The Happiness Project and Better Than Before, has created a model called the Four Tendencies. It divides people into four categories, based on what kinds of expectations they respond to. When you know what kinds of expectations get you motivated and allow you to form good habits, you can be more effective by using that information to your advantage. Read my overview of The Four Tendencies. 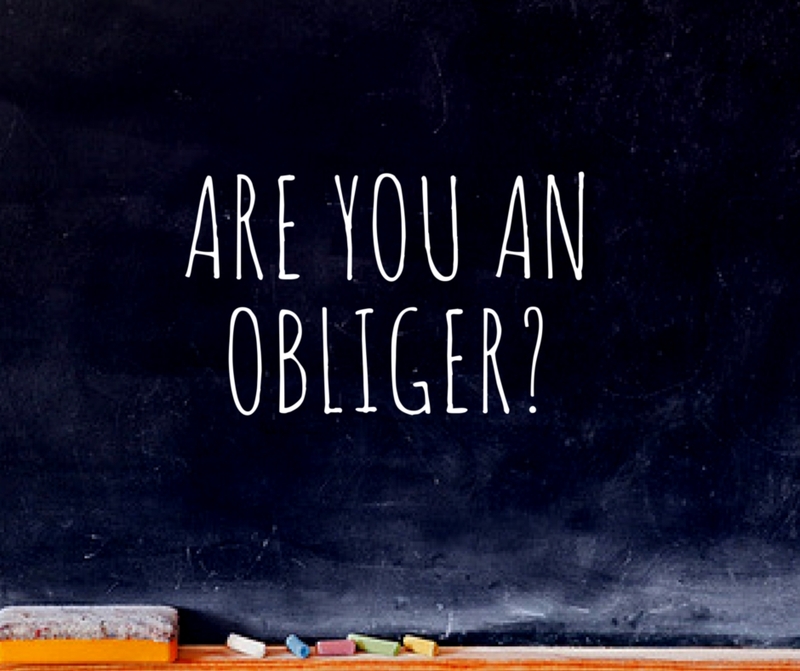 Now take the quiz to find out whether you’re a Rebel, Questioner, Obliger, or Upholder. Read my posts about how to run your practice if you’re a Rebel or a Questioner. Upholders will be up next week. If you’re an Obliger, you kick yourself when you don’t follow through with the goals you set for yourself. You try over and over to set goals and keep going until you’ve accomplished them, but it often doesn't work. Rather than trying to change yourself, why not set up your work in a way that comes more naturally to you? You respond to outer expectations. You’re driven to please others and to give of yourself. When a group or individual expects you to do something, you tend to step up and get it done. If you join a gym and plan to go 3 times a week, you may not follow through. If you sign up for an exercise class with a friend, you’re much more likely to show up consistently. Both the teacher and your friend are expecting you! When you’re building your therapy practice, the key to your success is accountability. Don’t just set arbitrary deadlines for yourself. Work with a coach, accountability partner, or group so that you know someone is expecting you to follow through with each step. Some of my Obliger therapist clients have accomplished more in 3 months of my group coaching program than they had in several years of working on their own. Many of them had tried and failed at using self-study marketing courses or workbooks. Without accountability and feedback, they stalled out. If you’re an Obliger, embrace your tendency and start using it to your advantage. For every important task you’ve been procrastinating, there’s a way to build in accountability. If you’re ready to get help building your unique private practice, apply for a free 20-minute phone consultation with me.